Everything Dallas Jet International does revolves around building relationships through the process of buying, selling and asset management. These days, even building relationships involves intelligently using technology to sell aircraft. 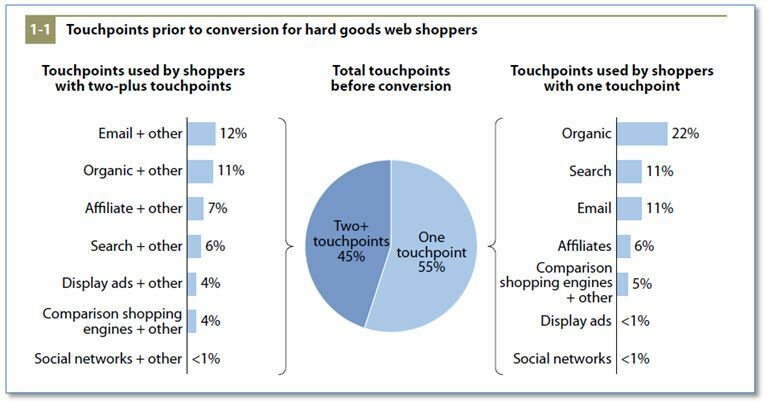 Most purchasers use the Internet for research before making a purchase. We’ve mentioned in previous articles that prospective buyers are much more informed when they contact us. We have a comprehensive system that builds a relationship online with several online “touchpoints” so that a customer for a particular aircraft has several opportunities to find what he is looking for, interact with us, and become comfortable with our business before he calls us on the telephone (or sends an email) to express interest in an aircraft. For our potential buyers (and sellers) convenience, we have a robust online presence. Of course, there are many choices available for listing an aircraft online. Although DJI has many years of experience in aircraft sales, we are constantly learning about developments in sales and marketing research, and we work with strategic partners such as ABCI to keep up to date with changes in technology to facilitate the sales process. We don’t pursue every new social media site or technique, but we carefully consider, and then invest, in proven, powerful channels. 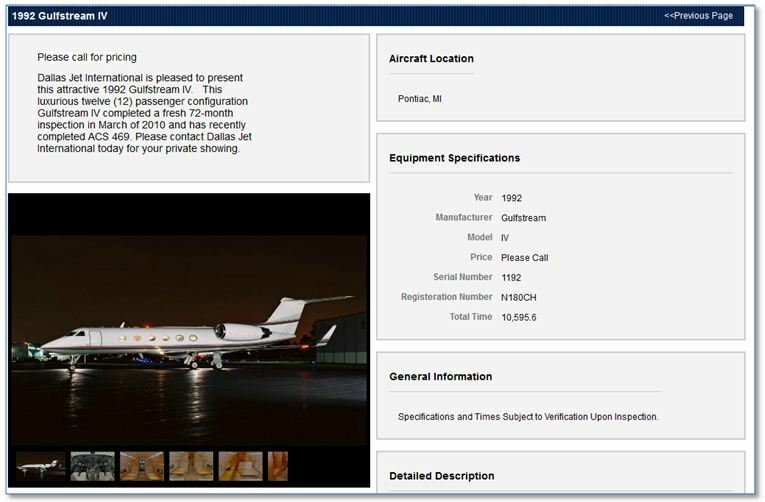 Our website, www.DallasJet.com, is the center of our online marketing system. 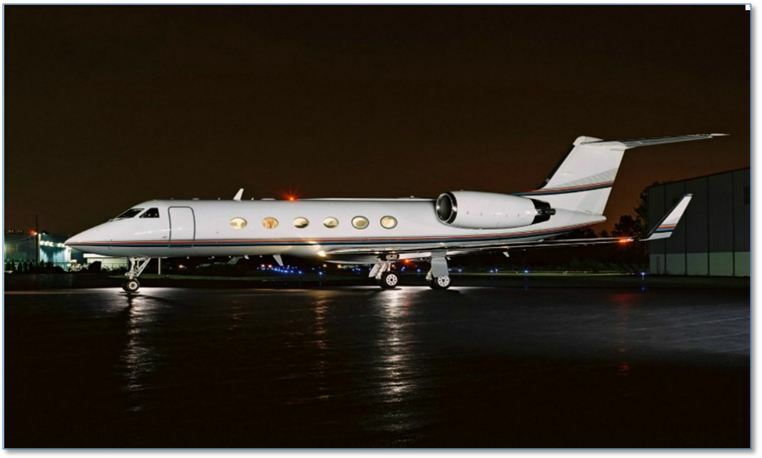 We updated the site in September, 2011 to use the latest technology to sell aircraft. Your aircraft has a unique story. You have invested in maintenance and upgrades to keep it in top condition. You certainly don’t want to simply list it in a huge database of aircraft that displays “cookie cutter” listings of your aircraft along with hundreds of others. DJI ensures that your aircraft is highlighted with an exclusive, customized listing – rather than being merely one among many of a particular aircraft type with a limited description and display options, DJI has invested in technology capable of “telling the story” of a unique aircraft with images and video, as well as words. The DJI image gallery shows up to sixteen photos of a particular aircraft, and provides viewers with photo selection and expansion capability. Images from our website are larger and higher resolution than most sites allow. DJI also has the ability to feature video “tours” and floor plans on the listing page, and to customize the text of a listing to include as much information as needed to ensure buyers have a complete understanding of the value of your aircraft. Blog – Aircraft Sales Insights. Since January 2011, our site is supplemented by a blog with valuable biweekly articles such as this one. These articles have been mentioned in leading publications such as the AviationWeek Business Aviation Blog. People who read our articles see us as a trusted source of information on the aircraft market. This leads to conversations where we can introduce them to the ideal aircraft for their situation. Sell Your Aircraft with Confidence…Even in a Slow Market! What questions would you like to ask an aviation sales specialist? Google and Facebook Usage Skews Young and Affluent. Both Google and Facebook attract young, affluent, and educated Americans in large numbers, according to results of a new USA Today/Gallup poll. Each counts more than half of those under 50, those with college degrees, and those making more than $90,000 a year among their users. Men and women use Facebook equally, but men use Google more. Gallup data indicates men (42%) are about as likely as women (45%) to have a Facebook page. However, men (63%) are 12.5% more likely than women (56%) to say they visit Google in a given week. Overall, 40% more US adults say they use Google in a typical week (60%) than have a Facebook page (43%). However, as mentioned above, both sites have substantially higher usage rates with younger, wealthier and educated Americans. For example, among 18-to-29-year-olds, 83% use Google in a typical week and 73% have a Facebook page. Those respective figures drop to 34% and 17% among Americans age 65 and older. We use the latest search engine optimization (SEO) technology and page coding techniques to optimize each listing, not just our site as a whole. We also list each aircraft on our popular Facebook page. DJI also sends a biweekly email newsletter that includes an introduction or excerpt from a blog article written on a topic of interest to the business aviation market. We feature your aircraft for sale on Facebook and Twitter, two channels that expand the reach of our marketing efforts and interact with potential buyers. DJI doesn’t put faith in mere numbers of Twitter followers, but we’ve found that respected aviation and luxury market Twitter indices such as GlobalAir Business Aviation and PriveAccess include Dallas Jet International’s Twitter streams among their sources of information. We feature your aircraft in a popular emailed newsletter that we send to those people who have requested it. 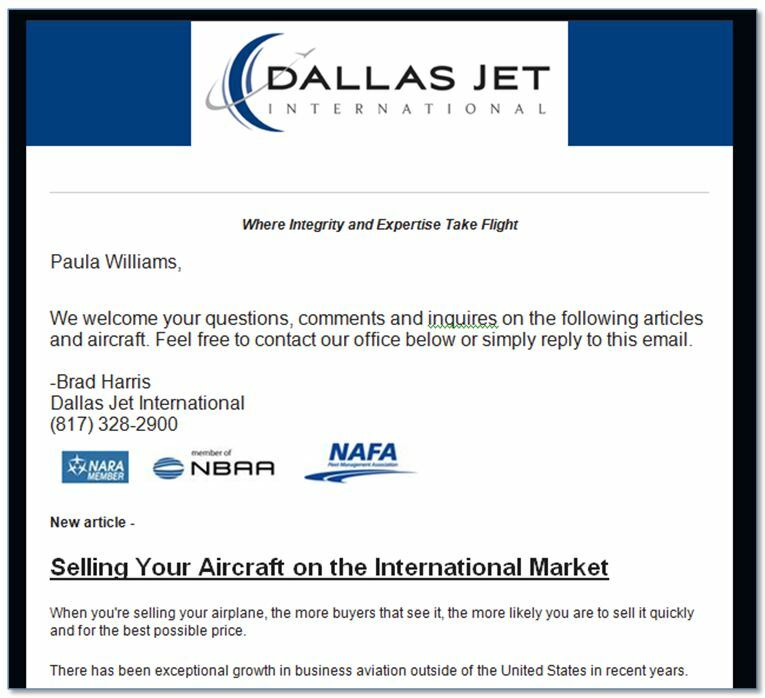 Unlike purchased “blasts” which have very low open rates, the DJI emailed newsletter includes a mix of articles and aircraft listings. Each newsletter is personalized, and includes a synopsis of one of our blog articles, as well as the aircraft listings. We use sophisticated technology to track the number of “opens” and “clicks” for each email. Detailed reports enable us to pinpoint (and follow up with) buyers interested in particular aircraft types. All of this technology counts for nothing without the sales expertise and know-how to take the sale to the next step. We are on-site, in person, for every inspection, test flight and closing. Our clients and customers come back to us many times to buy, sell, trade or manage their aircraft as their needs change over the years, because we place the emphasis on the long-term relationship rather than the short-term transaction. Technology doesn’t change our priorities or our principles; it merely facilitates the process of finding the right people for the right aircraft. It also makes it easier for us to spend our time where it is the most important – building trusted relationships with our clients.